Tags: NRA, lawsuit, Obama Justice Department. Eric Holder, fast and furious, Gun Registration, Wayne LaPierre To share or post to your site, click on "Post Link". Please mention / link to the ARRA News Service. Thanks! Was age 6 when my Ferguson was made. Bill Smith, Ozark Guru: The below news report evidences one of many steps being taken by Big Government that affects American farmers and ranchers. American farmers and ranchers not only feed America but they feed much of the world. Ask yourself, why would the US Government pursue such lunacy as detailed in the news report? As a teenager, I was a hired "farm hand" during the summers. So were my friends and bothers. It was healthy work. It was before the days that the government demanded that farmers report all local employment of temporary farm workers. In "those days," $1 an hour was good work for a farm hand. Gasoline was 23 to 27 cents a gallon. I would start work at 5 AM joining my boss milking the cows, then worked with the livestock or in the fields and by 4 PM, we would begin the milking operation again. In addition to pay, I was fed a hardy breakfast, a big dinner for lunch and often leftovers if I stayed for supper. Thus my parents saved money feeding me on these days. Before I was old enough to drive, a farmer furnished me a horse for transportation. However, at age 16, my employer provided me with an old truck to drive and enough gasoline to get back and forth to work. Due to the long days and to help prevent accidents, we were required to rest for an hour after lunch. In the winter, I would bunk in the barn or on the farmer's couch depending on the state of my clothes. In the summer, I loved napping outside under a tree. Sometimes, I would visit the local creek to cool off. I and many other young men enjoyed being farm hands. There was no work on Sunday except for the farmer and his family. As farm hand we developed our skills driving and operating farm equipment: plowing, cultivating, mowing fields, raking, bailing hay, harvesting crops, and caring for the livestock, etc. 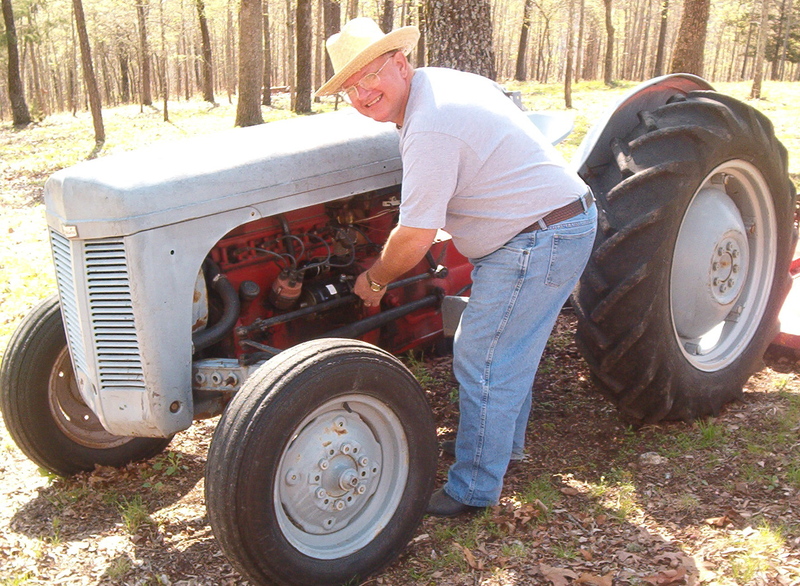 We even had a few tractor races and were "fit as a fiddle." It was amazing how far $50-$60 per week went when one is fed, is provided a vehicle with gas, and the folks provide a roof over your head. I was in what was then called "hog-heaven" saving for my first used car and dating the future Mrs. Guru. Since the days of my youth and being a farm hand, the busybodies and Big Government have expanded control over the lives of small family farms. The initials results were less hiring of people and the loss of many small farm operations. Farmers were forced more and more to rely on new technology, to consolidate their operations, to rely on their family members,and to share equipment and time helping each other. Many small farms had to sell to larger farms or to rent out their fields to larger operations. And, many farm lands were absorbed by subdivisions and growing cities especially during 1970-1990s. In the 50 years since I was a teenage farm hand, the Government has never ceased their interference with farm operations. The Government and busybodies have continued to seek control of the operations of farmers. Often these efforts to control farming were masked under the banners of controlling the production of certain crops, of alleged safety and environmental concerns, and of national insurance and subsidy programs, Big Government has too much control and influence over farm operations and the decisions of farm owners. The following news report provides one more example of Big Government seeking to interfere in farming operations. Now, Big Government is seeking to regulate who can drive farm equipment on one’s own land. Listen to the ABC local news report (video). It is time for the States to stand-up against Big Government and to tell the Federal government to get out of the farm operations within their states. 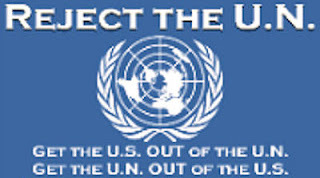 Unfortunately, some areas/communities have already signed various agreements, possibly even UN Agenda 21 agreements. They need to repudiate such agreements. Big Government appears to be intent on limiting and controlling the available food supply for our nation and the exports of food to other countries by restricting the internal operations of farms and ranches. This latest reported effort as well as the many other efforts by the busybodies in Washington, D.C. seeks to steal and limit property rights. In this reported situation, it is the rights for farm families to operate their own equipment on their own land and the right of families to have young family members participate in those farm operations. These type efforts must be stopped. Tags: farm, farming, vehicle operations, farm rules, family farms, ranch, ranching, Agenda 21, Big Government, UN, ozark guru, history, government intrusion To share or post to your site, click on "Post Link". Please mention / link to the ARRA News Service. Thanks! Economic Freedom: Would you rather live in Hong Kong or Burundi? Switzerland or the Republic of Congo? The United States or Venezuela? You probably chose the first option in each of those examples, and it's because those countries are more prosperous than the second options. It also happens that they are the most economically free and have higher quality of life! Economically free countries have lower taxes, lower government spending, less regulation, less volatility of currency, more free trade, and a sound legal structure. They also have higher per capita incomes (especially among the poor), higher life expectancy, less corruption, greater civil liberties, and higher quality of life. This is no coincidence. Let's continue to promote the economic freedom that makes America great! If you are concerned about our economic freedom sign up for more information at our Website and like our FaceBook and follow us on Twitter. Below is an informative short video titled: Economic Freedom and the Quality of Life. It is centered on the ideas of economic freedom and the societal benefits it produces. The video helps explain what economic freedom is and why it's key to improving society. by Phyllis Schlafly, Eagle Forum: If Congress can't repeal the law that banishes the Edison light bulb and forces us to buy Chinese-made bulbs we don't like, voters will ask, what was the use in electing a Republican House? Not only are the majority of Americans in favor of abolishing that obnoxious law, but even a majority of House members voted to repeal the current law, yet that didn't eliminate the ban. That's because Speaker John Boehner unexpectedly brought up the repeal on July 12 under a rule that required a two-thirds majority, and the vote tally of 233 for repeal to 193 against didn't meet that requirement. While the ban on Edison light bulbs was passed before Obama became President, we can blame him and his Energy Secretary Steven Chu for lobbying strongly against its repeal, and blame Nancy Pelosi for getting all but five Democrats to vote No. Thanks to Rep. Michael Burgess (R-TX), the House subsequently passed an amendment to the 2012 Energy and Water Appropriations Act to deny funding to the Department of Energy to implement the ban. However, that's only effective for one year, so we still need to repeal the ban. This issue not only involves Americans' freedom of choice to use the most popular and important of all American inventions, but it's also a matter of jobs. The ban gave General Electric CEO Jeffrey Immelt the excuse to close G.E. 's U.S. light-bulb manufacturing plants, lay off hundreds of well-paid U.S. employees, and open his plants in Communist China where wages are low and the new bulbs can be imported to sell in the U.S. for higher prices. President Obama rewarded Immelt by naming him his Jobs Czar. G.E. then announced its plan to send more American jobs to China by moving the headquarters of its 115-year-old X-ray business, responsible for magnetic resonance imaging and cardiac tomography, from Wisconsin to Beijing. Banning the Edison light bulb doesn't even make sense in terms of environmental arguments. The new Chinese-made compact fluorescent lamps (CFLs) give off less light (so we'll have to use more of them) and contain poisonous mercury so that, if we drop and break one, it will require a ten-step clean-up and be a danger to kids and pets. Obama is moving right ahead with his effort to drive us into a nanny state. He said his energy policies will cause our electric bills to "skyrocket" (will they be controlled by the smart meters already being installed in some sections of the country? ), and he warned we can no longer set our thermostats at 72 degrees. Where are the groups that talk about the right to privacy, limited government, and keeping the government out of our bedrooms and bathrooms? It was bad enough when the progressives and busybody bureaucrats told us the "village" should raise our children, but now they want to manage our household appliances. The busybodies have also ruled that we can't use detergents in our dishwashers that wash our dishes clean. They have restricted the water flow in our toilets, so they cannot do what toilets are supposed to do, and in our shower heads, to deny us an efficient body wash. If the environmental purpose is to reduce our water usage, the restraints on toilets and dishwater detergents don't accomplish that goal. The low-water-flow toilets require two or three flushes to do their assigned task. I now must use more water to pre-wash my dishes before placing them in the dishwasher. Most of these nanny-state regulations go into effect without notice to the public, so few realized the change when the boxes of Cascade changed from green to chartreuse. San Francisco spent $100 million to deal with the awful smell emitted in sewer pipes because of backed-up sludge caused by low-flow toilets. The cost includes putting 9,000,000 pounds of bleach in the water supply to try to dispel the stench. I'd like to know who gets the waivers that allow the public toilets in airport terminals to flush automatically and frequently with a large rush of water. The Obama Administration just announced new CAFE (corporate average fuel economy) standards to require that fuel efficiency for cars and light trucks must go up 3.5 percent annually and reach 54.5 miles per gallon by 2025. Obama's takeover of the automobile industry means that the companies can't object. Of course, meeting that standard means that cars and light trucks will have to be lighter weight and thus more dangerous in accidents. If our goal is energy independence, there are so many better ways to achieve that goal such as drilling for oil in places where it is now forbidden. Tags: Phyllis Schlafly, Eagle Forum, Big Government, light bulbs To share or post to your site, click on "Post Link". Please mention / link to the ARRA News Service. Thanks! Gary Bauer, Contributing Author: Thousands gathered in Chicago Wednesday night to wish Barack Obama a happy 50th birthday a day early. Many of the attendees paid $30,000 a plate for the honor. For that, they were able to rub elbows with Hollywood headliners and popular music stars. The president held a second birthday bash at the White House yesterday. Everyone at the party seemed quite happy. 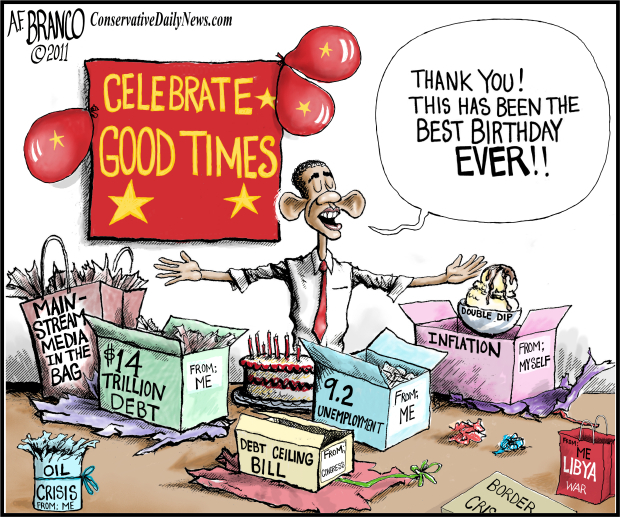 While the president was opening presents from his elite admirers, America was opening our "gift" from him. The stock market plunged more than 500 points as fear spread that the U.S. economy might be slipping back into a recession. Many Americans feel we never really got out of the last one! Traders held their breath this morning waiting for the 8:30 AM jobs report, worried it could be another "unexpectedly" weak figure. You could almost hear the sigh of relief when the jobs figure came in slightly above the consensus and the official unemployment rate dropped one tenth of a percent to 9.1%. Whoopee!!! Feel better? Of course you don't. The dirty little secret is the number fell a pitiful 1/10th of a percent because tens of thousands of Americans got so discouraged by the state of Obama's economy that they quit looking for work and dropped out of the jobs market entirely. Since they are no longer looking for work, they no longer count. Day by day, millions of other fed up Americans believe they don't count either. Obama now says he will focus on jobs, but he has no ideas that he hasn't already tried. His mantra remains the same -- more regulations on business, higher taxes on entrepreneurs and small business owners whom he derisively refers to as "millionaires and billionaires" or "fat cats." He continues to send hundreds of thousands of bureaucrats and regulators to attack and undermine our most successful industries -- energy, healthcare, finance, insurance and others. While we wait for his socialist ideas to work, he continues to wage class warfare and promises the American people not real jobs, but more food stamps, welfare and income redistribution. Republicans, to their credit, have blocked efforts by Obama, Reid and Pelosi to raise taxes in the middle of an economic decline. But that isn't enough. What we need are TAX CUTS now! Lower tax rates on businesses, entrepreneurs and everyone else. Letting people keep more of their hard-earned money is the only stimulus that works. We should be the party of lower taxes, smaller government and less bureaucracy. Let Obama run on being the president of more welfare, more food stamps and more government. Tags: Gary Bauer, Campaign for Working Families, loss of jobs, unemployment, the economy To share or post to your site, click on "Post Link". Please mention / link to the ARRA News Service. Thanks! Tags: A.F. Branco, political cartoon, Joe Biden, Obama, deception, seduction, impeachment, law, Constitution, Tea Party, Terrorists To share or post to your site, click on "Post Link". Please mention / link to the ARRA News Service. Thanks! AP Reporting: "The Dow Jones industrial average closed down 513 points Thursday afternoon, the worst drop since October 2008. It is now down more than 1,200 points since July 21." 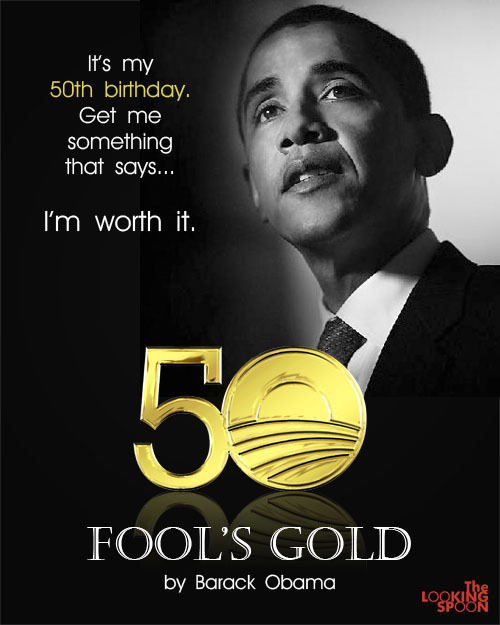 Tags: President Barack Obama, birthday, fool's gold, gift, Wall Street, stock market down, The Looking Spoon To share or post to your site, click on "Post Link". Please mention / link to the ARRA News Service. Thanks! Happy Birthday Mr. President . . .
by Ozark Guru: When you were born, I was ready to drive and five years from my invitation to a war. Yes, war, the things that you send others to do as Commander-in-Chief. It is hard to believe you are fifty years old. I thought based on your demeanor and actions both in the U.S. and and abroad, that you had to be younger. You have not evidenced the judgment of someone who has lived to be 50 years old. Since it is your birthday, it is time for you to get a clue. At the rate you are headed, you will be remembered as the President who wrecked America. Your wife expressed that your election was the first time she had been proud of our country. I hope you wish for a country that your children will be proud of and not one where the economy is totally wrecked and the enemies of the world are on the verge of destroying our country. 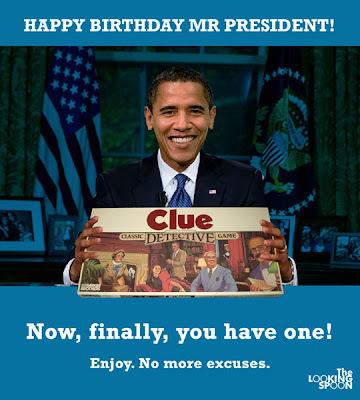 Tags: Barack Obama, happy birthday, get a clue, clue, The Looking Spoon To share or post to your site, click on "Post Link". Please mention / link to the ARRA News Service. Thanks! Rasmussen Reports - Most voters disapprove of the debt ceiling agreement reached by the president and Congress earlier this week and most doubt it will actually reduce government spending. - 22% approve of the agreement. - 26% are not sure. Republicans and unaffiliated voters disapproved by a 4-to-1 margin. Democrats divided with 34% favoring the deal and 40% opposed. Conservative voters strongly oppose the deal while liberals are evenly divided. By a 51% to 20% margin, moderates disapprove. 88% of Likely Voters have been following news of the debt ceiling debate at least somewhat closely. Just 6% now believe that Congress is doing a good or an excellent job . Americans would like to see Members of Congress take a 25% pay cut at least until the budget is balanced. The president’s Job Approval ratings also slipped during the recent debate and he now trails a Generic Republican in an early look at Election 2012. Tags: Rasmussen Reports, debt deal, debt ceiling deal, democrats, republicans, independents, voters To share or post to your site, click on "Post Link". Please mention / link to the ARRA News Service. Thanks! Welcome to the Recovery - Where Are The Jobs? Democrats have a long history of broken promises when it comes to creating jobs and getting our economy back on track. Tell the Democrats to get their heads out of the sand and fix the economy. It's time for a balanced budget. 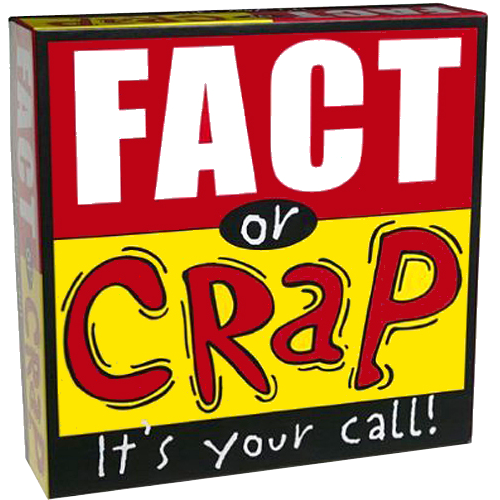 Tags: jobs, no jobs, unemployment, Democrats, Recovery Summer, Shovel-Ready, projects, stimulus, Barack Obama, Economy, Unemployment, Reid, McCaskill, Tester, Carney, Debbie Wasserman Schultz, Balanced Budget Amendment To share or post to your site, click on "Post Link". Please mention / link to the ARRA News Service. Thanks! Bill Smith, Editor: Normally I like to wish people Happy Birthday, but I will pass this time for President Obama.. For those of us alive when JFK was president, we wondered and kind of figured out what JFK was doing with Marilyn Monroe. However, from the results to date which are also illustrated in Tony Branco's political cartoon, we know exactly what BHO has been doing with and to the Unites States of America. 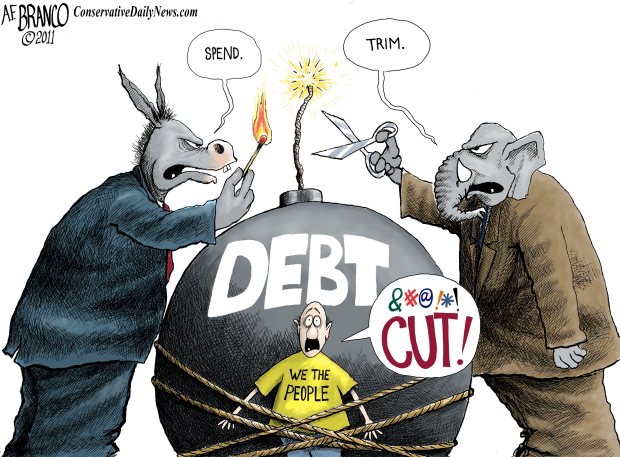 Tags: Debt Ceilng, deficit, economy, Obama Birthday, Obamas budget, U.S. economy, A.F. Branco, political cartoon To share or post to your site, click on "Post Link". Please mention / link to the ARRA News Service. Thanks! Bill Smith, Ozark Guru: The included image says it all; everything the left seems to hate. It used to be the words spoken proudly in school and in meetings of organizations. But the rhetoric of the left is trying to portray most ARRA News Service readers and other "right minded" people as terrorists. 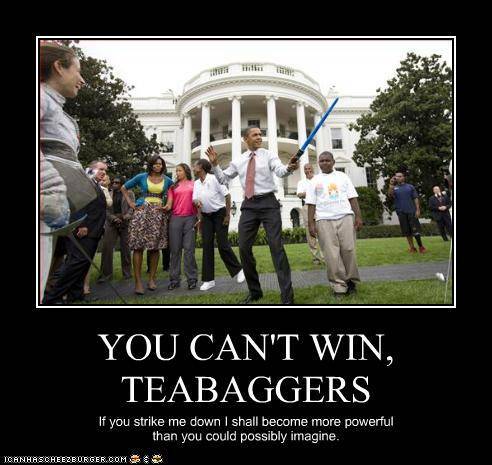 Right now they are attacking those associated with the TEA Party (I'm guilty). The left propaganda efforts are meant to corral and demean the right. 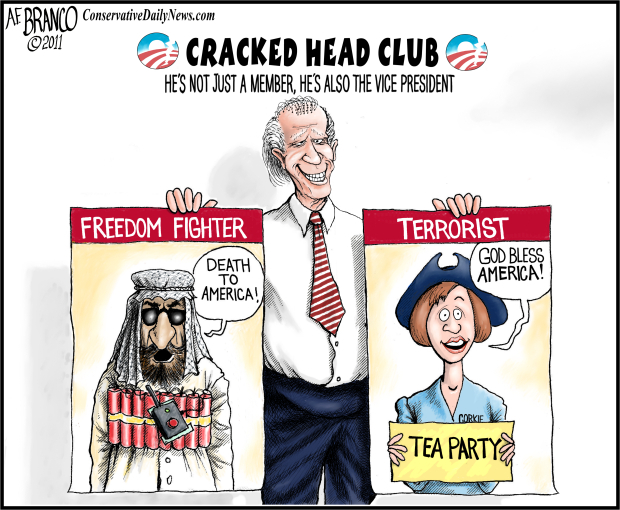 Even the Vice President of the United States, Joe Biden, lowered himself to this trash talk by accusing TEA Party Republicans of having “acted like terrorists” in the fight over raising the nation’s debt limit. Then Fox News' "fair and balanced" leftist talking heads helped propagate the lingo. Example, Bob Beckel calls the TEA Party members anarchists. He has apologized ( likes the money) but he has already ridden the "pale horse." Townhall's Guy Benson identified, "No fewer than four "esteemed" Times columnists have drawn the conservatives/terrorism connection within the last two weeks: Nicholas Kristof, Thomas Friedman, Maureen Dowd, and . . . Joe Nocera . . . entitled, "The Tea Party's War On America:"
You know what they say: Never negotiate with terrorists. It only encourages them. These last few months, much of the country has watched in horror as the Tea Party Republicans have waged jihad on the American people. Their intransigent demands for deep spending cuts, coupled with their almost gleeful willingness to destroy one of America’s most invaluable assets, its full faith and credit, were incredibly irresponsible. But they didn’t care. Their goal, they believed, was worth blowing up the country for, if that’s what it took. It seems that the left under orders from the perpetual Obama campaign team continue to ratchet up their use of propaganda to demean the right. This is not just a word game. These words are intended to be fiery darts meant to wound the right and influence the general public against the right. And by "the right" I mean right minded conservatives who love rights granted by God and set forth in the Constitution and who oppose oppressive Big Government. Notice that the left avoids calling those terrorists whom "claim to be Muslim" and have physically attacked our country and killed Americans. However, the left cannot withhold their vitriol when attacking those whom they perceive to be in the way of their liberal progressive agenda. As for me, I will continue to stand by my sworn Oath as a Military Officer to "defend the United States against all enemies foreign and domestic." 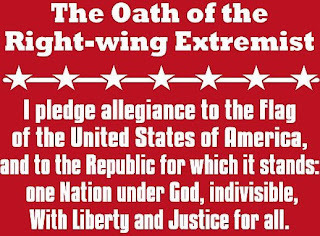 However, since most Americans have never taken such an oath, I call upon readers to take the "Oath of Right Wing Terrorist" cited in the image created by TexasFred and shared by him in a recent post by We, The People of the United States, are Terrorists. Complements to TexasFred for a great play on the words, "Oath of Right Wing Terrorists." The words should be very familiar to most American citizens except for some of today's youth being educated by liberals. Obviously, the words are the Pledge of Allegiance to the American Flag and to our Republic. The United States Congress officially recognized this as the "official Pledge of Allegiance" on June 22, 1942 and then incorporated the words "under God" into the Pledge on June 14, 1954. 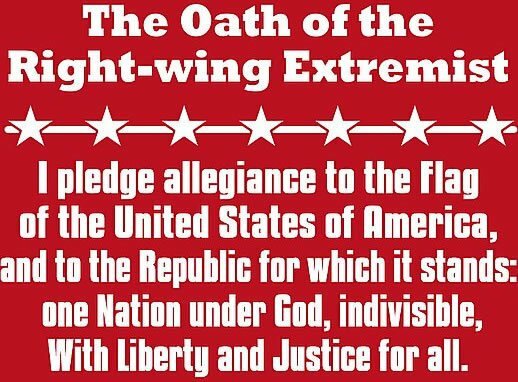 Tags: oaths, attacks by liberals, liberals, Pledge of Allegiance, right wing terrorists, oath To share or post to your site, click on "Post Link". Please mention / link to the ARRA News Service. Thanks! Many members of Congress are back in their districts for August recess, but the House and Senate will remain in pro forma sessions throughout the recess to prevent President Obama from making recess appointments. The Senate will convene for pro forma sessions on August 5th, 9th, 12th, 16th, 19th, 23rd, 26th, 30th, and September 2nd. The Senate and House will reconvene for legislative business on Tuesday, September 6th. As reported yesterday, the Senate voted 74-26 to concur in the House amendment to S. 365, the debt ceiling and spending reduction agreement. The president signed the bill into law later in the day. "…since you can’t close the deficit with just spending cuts, we’ll need a balanced approach where everything is on the table. …It also means reforming our tax code so that the wealthiest Americans and biggest corporations pay their fair share. And it means getting rid of taxpayer subsidies to oil and gas companies, and tax loopholes that help billionaires pay a lower tax rate than teachers and nurses. …Everyone is going to have to chip in. It’s only fair. That’s the principle I’ll be fighting for during the next phase of this process." Note, how Obama presumed that the debt cannot be address primarily by cutting Big Government programs. 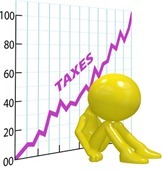 Gary Bauer noted today, "But, of course, there is no demand for higher taxes from Americans. They want to know, "Where are the jobs?" The unemployment rate today is 9.2%, higher than it was when Obama took office in 2009. His $830 billion stimulus bill has been a colossal failure. And because of that failure and others, America is suffering from a jobs deficit. A new report this morning suggests that mass layoffs have returned. More than 66,000 Americans were laid off last month -- up 60% from June and 59% higher than last July. Many of these losses came from industries (healthcare and defense) that have been under assault by the Obama Administration. Yet, while Obama claims to care about job creation, he regularly launches into attacks on job creators, vowing to raise their taxes. A day does not go by without Obama attacking entrepreneurs and stoking the fires of class warfare." "Next year, the Bush tax cuts expire. If Congress does nothing, we revert to Clinton-era tax rates for everyone, and the federal coffers fill with $3.6 trillion in additional revenue over the next 10 years -- enough to stabilize deficits. …To govern responsibly, Democrats cannot simply raise taxes on the rich and call it a day." Bauer responds, "As I have said before, there aren't enough rich people in America and they are not rich enough to pay for all of Obama's spending. Liberals don't want to cut government; they want to raise YOUR taxes to pay for their ever-growing bureaucracy." Tags: Washington, D.C., Congress, President Obama, democrats, jobs, higher taxes To share or post to your site, click on "Post Link". Please mention / link to the ARRA News Service. Thanks! Why liberals always win when Congress compromises. From one our Conservative Link Friends. Nails it! Why do liberals always win? by The7eclectics: Liberal Democrats have an agenda to increase debt spending, dole out more money, and raise revenues (taxes). 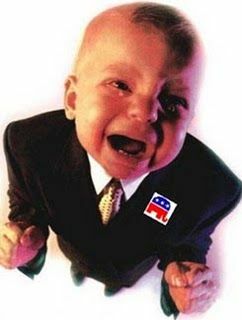 Republicans have an agenda…, well maybe, its just rhetoric so far, to stop debt spending, stop doling out more money, and stop raising taxes. Now when the two agendas clash, the the Republicans have already lost the battle. Liberal politicians and media call for compromise and meeting half way. Republicans do so, every time, and subsequently, the liberal agenda is advanced… slower than they would like, but advancing none the less. The Republican saps have been taken again and agree to advancing the liberal agenda all the while saying, we have been victorious in our compromise to prevent the liberals from getting everything they asked for. They are either too stupid to understand what is happening or they are committed to advancing the liberal agenda. So which is it… stupid conservatives or liberal RINOs? The only agenda that can truly be called conservative is an agenda that lowers the debt ceiling, reduces the size of government, decreases government spending, and uses less taxpayer money. And this agenda should call for reducing debt, government, spending, and taxes by 50%. Then let the compromise begin but the results favoring reduction not increase. Tags: compromise, Congress, conservative, debt, democrats, government, liberal, news, politics, propaganda, spending, spin, taxes To share or post to your site, click on "Post Link". Please mention / link to the ARRA News Service. Thanks! 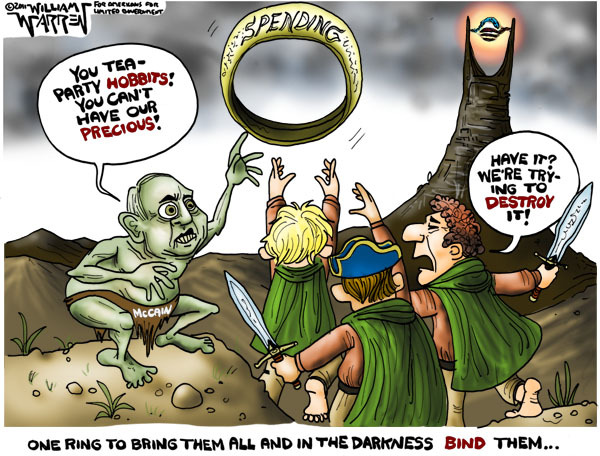 Tags: Government Spending, Hobbits, John McCain, Lord of the Rings, Tea Party Hobbits, William Warren To share or post to your site, click on "Post Link". Please mention / link to the ARRA News Service. Thanks! Yesterday, the House passed S. 365, the vehicle for the debt ceiling and spending reduction agreement, by a vote of 269-161. The House is now in recess. This morning the Senate passed S365 by a vote of 74-26. The bill was immediately sent to President Obama who will sign the bill and is as of this post pontificating and bashing conservatives. He is taking no responsibility but blaming the parties as if he is "above the process." With the Senate set to vote on the agreement to cut spending and prevent default by raising the debt ceiling today, it’s instructive to continue reviewing the reactions which was begun in yesterday's update. We should recall that for two years, 2009-2010, the democrats controlled all aspects of the Federal Government and they could have 1) extended the Debt Ceiling in 2010 but the democrats waited as they did not want to have this topic affecting the elections and to bear the criticism alone and 2) it was the excessive spending and expansion of government by the democrat leadership during that pushed us to this point. Though a number of news reports and conservative commentators yesterday suggested that the agreement was a win for tea partiers and Republicans, it’s telling how upset many liberal Democrats who still after the previous fiasco wanted more spending and higher taxes are after getting neither of those things. Liberal Washington Post columnist Eugene Robinson summed things up from his perspective on MSNBC’s “Morning Joe” today. “The Tea Party had a really good month. They got some of what they wanted. They played their hand quite well and they ended up winning. So they won. The Democrats lost and we’ll move on from there,” he said. Elections matter and TEA Party conservatives should not form CIRCULAR FIRING SQUADS. The democrats are moving on with their agenda and again as clearly noted in the president's comments today. Liberals are still coming after you and your money and the money of those who create jobs and the source of money of those who provide the spiritual and good works outside of the control of Big Government. Liberals including the President are using class warfare. He is already pushing the dialog. Liberals want Big Government to determine winners and losers and which charities are allowed to exist. They want those who create jobs to pay more taxes. The U.S. has one of the highest corporate taxes in the world. The loss of jobs in the U.S. have noting to do with businesses not paying more taxes to a wasteful government. It has all to do with the interference of government with businesses, banking, the markets, and even which light bulbs and other products you can buy. The liberals want to make the decisions for you and they see Big Government as the way to get this done. Liberals despise people deciding directly which charitable programs they wish to support - especially churches . They want charitable programs which they control and support via grants. Why, because presently liberals cannot control the messaging of the organizations that you support. In summary, President Obama laid out his road map - more revenue for big government. He calls it tax reform. Tags: Washington, D.C., US Senate, US House, debt deal, debt ceiling, President Obama, liberals, liberal agenda To share or post to your site, click on "Post Link". Please mention / link to the ARRA News Service. Thanks! Bill Smith, Editor: This last weekend, Smart Girl Politics (SGP) held it's 3rd Annual Smart Girl Summit in St. Louis, Missouri. One of their sponsors was the Susan B. Anthony (SBA) List and former Rep. Marylyn Musgrave, SBA List Project Director for Votes Have Consequences, shared with the attendees about SBA List. 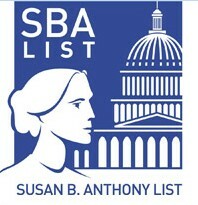 The SBA List will be 20 years old in 2012, an important election year. It was of created as a counteracting voice to the pro-abortion EMILY’s List PAC. The Susan B. Anthony List is dedicated to electing candidates and pursuing policies that will reduce and ultimately end abortion. To that end, the SBA List will emphasize the election, education, promotion, and mobilization of pro-life women. In addition they have endorsed and promoted pro-life men running for office. The organization works in the spirit and tradition of the original suffragettes. Susan B. Anthony herself called abortion “child murder.” Alice Paul, author of the original 1923 Equal Rights Amendment, reportedly said the early feminists believed that “Abortion is the ultimate exploitation of women.” Modern feminist Patricia Heaton echoes this theme, saying, “The early feminists were pro-life." Their record of success is impressive. And, the SBA List is "working on all fronts to end taxpayer funding to Planned Parenthood and elect a pro-life President and Senate majority in 2012." The American people have awakened to what it means to be “pro-choice.” A 2009 Gallup poll revealed that 51% now label themselves “pro-life.” These polling results confirm a trend: "Americans are increasingly in favor of protecting human life. They see through the hollow PR-generated “pro-choice” label, thanks in part to sonograms and real-life experience." They are also working to reduce the number of deaths induced by Planned Parenthood, we need to end its life line: taxpayer funding. Marjorie Dannenfelser, President, Susan B. Anthony List, identified in an email today, "Last year, Planned Parenthood ended the lives of 324,008 unborn children and forever changed the lives of that many women. Even as the national abortion rate declines or -- at worst -- is stagnant, the number of babies aborted at Planned Parenthood continues to climb and climb." Partner with pro-life allies in the states working to defund Planned Parenthood. Thus far, over $60 million has been slashed, and we are working to increase this number as we work through the fall and into the 2012 legislative sessions. These efforts at the state level further expose Planned Parenthood, keep them on the defensive, and bring momentum to our efforts to defund them at the federal level. Lay the groundwork for the election of a Pro-Life President in 2012 and win back the Senate from the hands of Harry Reid so we can finally defund Planned Parenthood of the federal dollars it receives. Already, through the success of our Pro-Life Presidential Leadership Pledge, candidates are making a firm, written commitment that they will actively work to defund Planned Parenthood if elected to the White House. As with anything, funding and volunteers are needed. Check out the following video and their website for opportunities to be involved. Tags: Smart Girl Politics, SGP, Smart Girl Summit, sponsor, SBA List, Susan B. Anthony List, history of SBA, Planned Parenthood, 2012 Elections, pro-life To share or post to your site, click on "Post Link". Please mention / link to the ARRA News Service. Thanks! Tags: A.F. Branco, political cartoon, debt, democrats, spending, republicans, trim, the public, cut To share or post to your site, click on "Post Link". Please mention / link to the ARRA News Service. Thanks! Gary Bauer, Contributing Author: Friday evening the House of Representatives passed Speaker Boehner's bill to increase the debt limit. Two hours later the Democrat Senate killed it. Saturday afternoon the House rejected Senate Democrat Leader Harry Reid's bill to raise the debt limit, and on Sunday Reid's bill was filibustered in the Senate. The deal provides for an initial increase in the debt limit of $900 billion in exchange for $917 billion in spending cuts over ten years. These cuts would be enforced by spending caps on discretionary programs. There would be no immediate tax increases. President Obama would be allowed to request a second increase, up to $1.5 trillion, in the debt limit if a new joint congressional committee came up with spending cuts equal to the amount of the debt limit increase. If Congress failed to approve the committee's recommendations, then mandatory spending cuts would take effect. Unfortunately, entitlement programs (the main drivers of our debt) appear largely shielded from the cuts, while a significant portion of future spending cuts would come from the Defense budget. The deal calls for a congressional vote on a balanced budget amendment before the end of the year. As is often the case with such deals, no one is happy. Last night one conservative freshman senator called the deal "disgusting." This morning, one liberal House Democrat labeled it "a sugar-coated Satan sandwich." "This is no small achievement considering that Republicans control neither the Senate nor the White House, and it underscores how much the GOP victory in November has reshaped the U.S. fiscal debate." There is not unanimity on the right. The Heritage Foundation called it a "sour deal" that pits our economic security against our national security. Mitt Romney and Michele Bachmann are against it. But while there is some division on the right, there is universal outrage on the left and real anger at Obama. The New York Times labeled the compromise a "terrible deal." The Times editorial bemoans the spending cuts with no tax increases as "a nearly complete capitulation to the hostage-taking demands of Republican extremists." The left-wing group MoveOn.org is against it, saying that the "debt deal has gone from bad to worse." Arianna Huffington said, "this is a terrible moment for Democrats." Vermont's socialist senator, Bernie Sanders, called the deal "a huge victory for Republicans." The leaders of the House Congressional Black Caucus and the Progressive Caucus have condemned the deal. The Hill reports that more House liberals are now calling on Obama to unilaterally raise the debt limit under the theory that the 14th Amendment gives him the authority to do so. This deal will win no "gold medals." Parts of it make me livid as a conservative. It does nothing to reform entitlement spending and potentially puts Pentagon spending on the chopping block. On the other hand, it prevents immediate tax increases that Obama and his Democrat allies demanded, and calls for at least $2 trillion in spending cuts over the next ten years. That is a small victory, but a victory nonetheless. And the debate has hurt Obama, and shifted the whole playing field in our direction. Here's my bottom line: Conservatives who argue that this deal does not solve our fiscal problems are correct. But it is not realistic to think we can get serious entitlement reform and spending restraint out of Harry Reid's Senate or from Obama's White House! The national debt will not be brought under control until conservatives control the Senate, the House of Representatives and the White House. The 2012 elections are even more important to solving our fiscal crisis than this current debate on the debt limit. If we win back the Senate and also send Obama back to Chicago in November 2012, the new Congress and new president should immediately renegotiate the deal to make larger spending cuts AND TAX CUTS. The Tea Party conservatives who were elected to rein in spending have gotten a good down payment on that promise. God bless them! Now we have to take the fight to the American people. Later this year we will have a vote on a balanced budget amendment. That will be another great teachable moment for the voters, who will have the final say next November. Tags: Gary Bauer, Campaign for Working Families, Debt, Debt Ceiling, deal, plan To share or post to your site, click on "Post Link". Please mention / link to the ARRA News Service. Thanks! Yesterday, Senate Majority Leader Harry Reid (D-NV) failed to get the 60 votes needed for cloture on his proposal to raise the debt ceiling by a vote of 50-49. His bill was also defeated by the House on Saturday. As a result, Obama was forced to negotiate with House Republicans. As reported last night Republicans, Democrats and President Reach Agreement On Raising Debt Ceiling. The Congressional Budget Office confirmed today that the debt-reduction deal struck by the White House and congressional leaders would cut deficits by at least $2.1 trillion over the next 10 years. Constituents of both parties are objecting to the new "crappy" plan. However, the plan is expected to garner enough from the center of Congress to pass. As identified below, some are stating the the TEA Party achieved victory, it doesn't seem that most "TEA Party" and identified TEA Party associated members in Congress are not pleased with not getting "present day spending cuts" or the Balanced Budget Amendment with this deal. Liberal members of Congress are upset with not having immediate tax increases. Many are focusing on how far the debate has shifted. Back in May, Austan Goolsebee, then President Obama’s top economic advisor, called the idea that spending cuts and deficit reduction had to be tied to raising the debt ceiling, “quite insane.” At the same time, the White House was calling for a “clean” debt limit increase. And Senate Democrats were alternately demanding tax hikes or more stimulus spending as part of any legislation. The WSJ editors also focus on the big picture here, writing, “The tea partiers pride themselves on adhering to the Constitution, which was intended to make political change difficult. Yet in this deal they've forced both parties to make the biggest spending cuts in 15 years, with more cuts likely next year.” And even The Washington Post’s Chris Cillizza names the Tea Party one of the “winners” in this deal. Iain Murray, Vice President for Strategy, Competitive Enterprise Institute, in a National Review Editorial views the present plan as a victory for the following reason, "After Alexander and Montgomery turned back Rommel at the Battle of El Alamein in 1942, Churchill told his audience at the Mansion House, “Now this is not the end. It is not even the beginning of the end. But it is, perhaps, the end of the beginning.” That, I think, is how we should view the debt-ceiling victory — for it is a victory. For the first time in many years we have stopped government’s remorseless advance. We must go on to win many more victories if we are to see government shrunk back to its rightful size, but the first victory is often the hardest to obtain. There are many more battles to fight. Our first job, it seems to me, is signaled by the desperate GDP and manufacturing numbers announced in the past few days, which have been obscured by the political news, but which are keenly observed by the markets. We have to get Americans back to work and the key to that is deregulation." Grover Norquist, President of Americans for Tax Reform supports the plan. Norquist said, ""The deal proved that we can cut spending without trading away tax hikes." Norquist added, ""Obama's internal polling must scare the heck out of him. He caved on the key Republican demands: no tax hike, spending cuts equal to the debt ceiling increase." However, the plan also has its opponents in the conservative think tanks. Heritage Action an activist arm of The Heritage Foundation responded to the plan, "The deal would increase the debt ceiling by $900 billion now, in exchange for Washington-style cuts. It would also give tremendous power to a 12-member committee that will pave the way for tax hikes. Not only that, but if conservatives don’t agree to the tax hikes, then a so-called trigger would automatically cut our nation's security by $600 billion. That being said, conservatives should take heart that the Washington establishment is increasingly adopting our rhetoric. Those promoting this deal promise that it won't raise taxes. They promise that it cuts spending. And they promise that it can lead to a balanced budget for our country. Despite the fact that the policy of the deal does not support these promises, this is a sign that our message is winning." Several Republican presidential candidates are opposing the plan. Rep Michele Bachmann had previously said regardless of the deal, she opposes raising the debt ceiling and run-away spending. 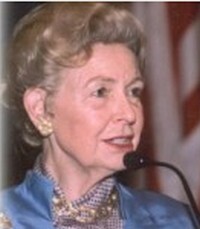 Former Gov. Mitt Romney quickly responded today that he too opposed the plan. But he offered no concrete reasons. Former Gov. Gary Johnson said, "This deal is kicking the can down the road." Rep Ron Paul who like Bachmann has been a consistent opponent, offered the following interesting statement, "In spite of the rhetoric being thrown around, the real debate is over how much government spending will increase. No plan under serious consideration cuts spending in the way you and I think about it. Instead, the "cuts" being discussed are illusory, and are not cuts from current amounts being spent, but cuts in projected spending increases. This is akin to a family "saving" $100,000 in expenses by deciding not to buy a Lamborghini, and instead getting a fully loaded Mercedes, when really their budget dictates that they need to stick with their perfectly serviceable Honda." Sen Tom Coburn (R-OK), who is not running for re-election, said, "There are no cuts in the plan for present spending. It just cuts the rate of increase. The bill kicks the can down the road and will come back to hit everyone as early as next summer." Bill Wilson, President of Americans For Limited Government, called the bill "The No Solution Deal" and said, "A late deal struck by House and Senate leaders to raise the debt ceiling — with spending cuts that won't balance the budget anytime soon, if ever — is a sad commentary on the state of affairs in Washington. Aside from the lack of spending cuts, an essential feature of any plan a family would follow to reinstate fiscal prudence, the other essential ingredient missing from the deal is a recipe to get the economy growing again. It will do nothing to reduce the exorbitant cost of doing business in America, with corporate taxes among the highest in the developed world. Where the federal regulatory overkill threatens to shut down millions of more jobs. 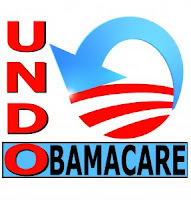 And where the new costly healthcare entitlement, ObamaCare, threatens to topple the federal treasury once and for all." 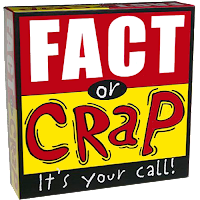 Tags: debt ceiling, deal, Washington, D.C., US Senate, US House, crap, facts, politics To share or post to your site, click on "Post Link". Please mention / link to the ARRA News Service. Thanks! by Arkansas Lt. Governor Mark A. Darr: Last month, in my capacity as an individual, I fulfilled a promise to the people of Arkansas by filing an amicus brief on behalf of the nearly 70% of Arkansans of all political stripes, who oppose the federal health care law, known as the Patient Protection and Affordable Care Act (PPAC). On Monday, July 18th, 21 states filed a brief with the U.S. Court of Appeals for the Eighth Circuit supporting Lt. Governor Peter Kinder of Missouri in his constitutional challenge to the individual mandate provision of the federal health care law. Lt. Governor Kinder is a friend and I applaud his leadership on this issue. Separately, more than 150 elected executive and legislative officials from states within the Eighth Circuit filed a brief asking the Court to reach a decision regarding the substantive constitutional issue and not delay resolving the case on procedural grounds. According to the Arkansas Department of Human Services there are currently 26% or 771,000 Arkansans on Medicaid. Once the Healthcare Law goes into effect in 2014 over 35% or 1,021,000 will qualify for Medicaid. The federal government will pay for 100 percent of the Medicaid expansion in our state through 2016, and then the amount will gradually be reduced to 90 percent by 2020. That means in ten years, the cost to the state will be about $200 million a year. This is unsustainable. As a small business owner I fully understand the ramifications this law will have for small businesses across our state. I have had the opportunity over the last year and a half to speak with small business owners and major employers concerning this issue. They have been and still remain steadfastly opposed to the health care reform act. Under the new law, there is an exemption for providing health insurance for employers with fewer than 50 employees. In my own business, I employ just under 50 people. However, if I were to expand my business and add additional locations, which I would like to do at some point, the financial repercussions of this law would likely prohibit me from doing so. What are business owners to do if they cannot invest in and grow their business? Such regulations will kill jobs at a time when our economy and our citizens desperately need them. States and individuals must have the power put back in their hands to make decisions. Our government is too big. It is too intrusive. It is restricting our individual freedom and our economic liberty. Arkansans everywhere are becoming increasingly resistant to the overreach of government at all levels. We have seen what a disaster the spending debate has become in Washington. Why would we want the same people to take control of our healthcare system? Of course, the mandate requiring individuals to purchase health insurance is not the only intrusive part of the new health law. I recently visited a private physician-owned hospital here in our state. The CEO informed me that the new federal law essentially bans new physician-owned hospitals and will keep them from growing their current business. Why should the government have the power to make such decisions? I don’t consider this a partisan issue. As they say, it’s the principle of the thing. I believe the federal mandate is unconstitutional. It violates individuals’ rights; it violates businesses’ rights; and, it violates states’ rights. I am hopeful that the Eighth Circuit Court of Appeals will move expeditiously in reaching a just and equitable decision on this matter. It is likely that this issue will eventually be decided by the U.S. Supreme Court. Let’s hope that common sense and liberty prevail. Tags: Lt Gov, Mark Darr, Arkansas, ObamaCare, Health Care Mandate To share or post to your site, click on "Post Link". Please mention / link to the ARRA News Service. Thanks! With the United States engaged in a debate over debt, the common consensus among Americans is that spending needs to be reduced. A recent poll commissioned by Generation Opportunity and the polling company, inc./WomanTrend> found this was especially true among young Americans who are self-identified independents. They believe less federal spending and less government interference with job creators will lead to more economic opportunity and a more optimistic future for America. The poll indicated 79% would decrease federal spending from its current level and 59% believe the United States is pretty seriously on the wrong track. This is perhaps no surprise, but it’s unlikely to happen unless Washington changes its ways. 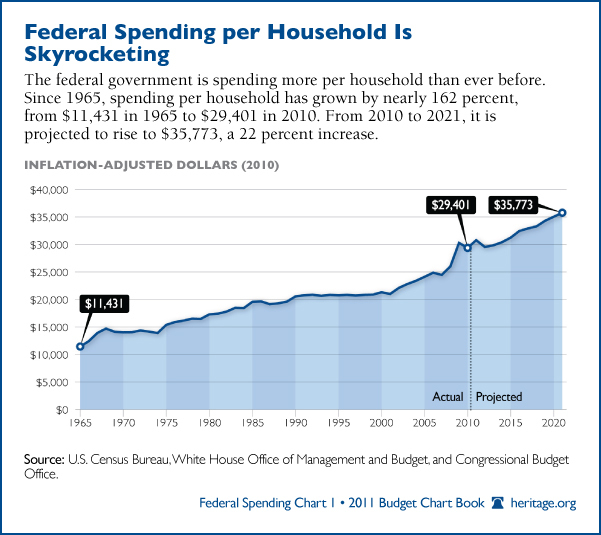 Federal spending per household is set to rise 22 percent from 2010 to 2021. Tags: budget chartbook, Chart of the Week, federal spending, young Americans, Heritage Foundation To share or post to your site, click on "Post Link". Please mention / link to the ARRA News Service. Thanks! News and wire services are reporting that Republicans and Democrats in Congress have reached agreement with President Barack Obama to raise the limit on U.S. borrowing, forestall a default, and avoid a shutdown of the government. The plan does not include any tax increases and is claimed to cut cut about $1 trillion from U.S. spending. Senate Majority Leader Harry Reid and Republican Minority Leader Mitchell McConnell endorsed the plan. President Obama added his support for the deal. House Speaker John Boehner, in a conference call with Republican members of the lower chamber, said the deal was a good one that met the demands of all Republicans. The president received enough of a debt ceiling increase so as to not have to face this issue directly before the 2012 elections. The Republicans received the spending cuts without taxes being increase. President Obama did his asked and answered his own question in his endorsement of the plan, "Is this the deal I would have preferred? No!" But he added: "It will allow us to avoid default and end the crisis that Washington imposed on the rest of American. An it will allow us to lift the cloud of debt and uncertainty." The Senate and House may vote tomorrow on the proposed plan. Unfortunately the lame street media and the White House continue to insist that the default will occur on Tuesday and it id did it would affect payment of social security and the military which it would not have done. However, it is the Treasury Secretary who works for President Obama verses the American people who would decide such actions. Expect lots of press releases on both sides of the issue tomorrow as the party leaderships focus on securing votes for the plan. Presidential candidate Rep. Michele Bachmann (R-MN) has already declared she will not vote for any bill that raises the debt ceiling. Finally, we all know the devil is in the details and as in the past we will not know the details until after we see the actual plan and experience the consequences. Also, the above "deal" does not mean that our national credit rating will not be down graded. It still may be downgraded. There are many questions that need to be asked beginning with who are these people doing the credit ratings? Were they previously in bed with some of those involved in the financial bailouts? Who are the people who will benefit by any change in credit rating? Tags: debt ceiling, plan, deal To share or post to your site, click on "Post Link". Please mention / link to the ARRA News Service. Thanks!